Auxiliary Air Tank with 2.L capacity. 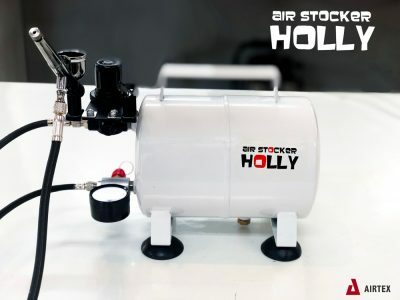 Holly Air Stocker is a 2.5 Liters auxiliary Air reservoir tank that can be plugged to any compressor. Doesn’t need any power and it’s very straight forward to connect. 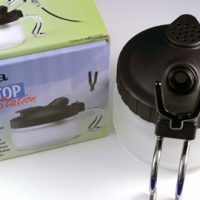 It comes with Air Gauge regulator, a nylon covered hose and a double airbrush holder. Why i should buy one?? 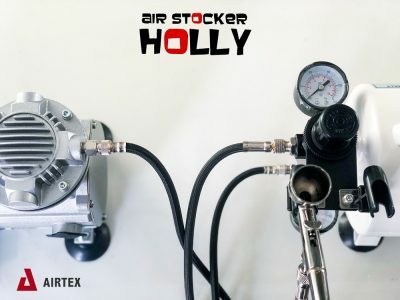 Simply because the Holly Air Stocker is a life saver for your compressor! Many airbrush artists works from home and because that they have to use a small silent portable compressor. These portable air compressors usually comes with a small 1L or 0.5L air tank and in most of the cases that’s not enough. 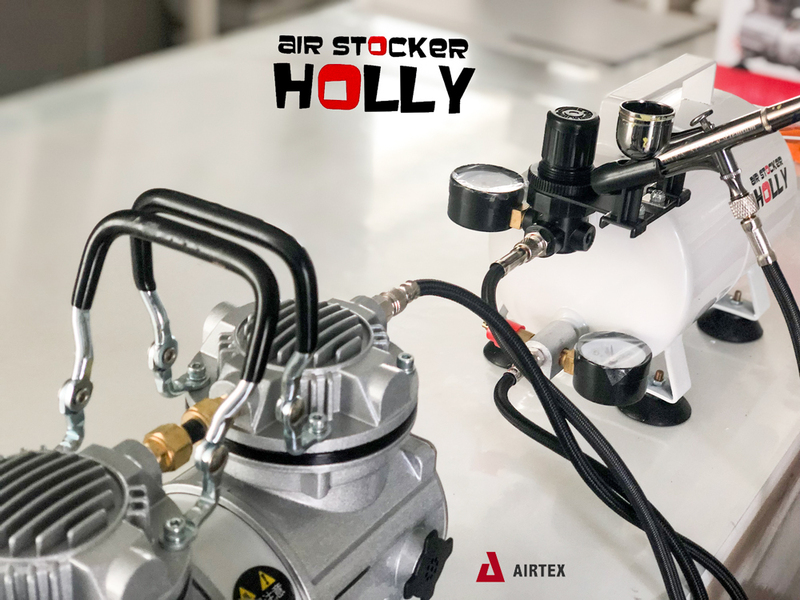 That means your compressor has to work harder to keep the air flow continuity available for you and overheating is a common problem and the cause of premature death of many compressors. Overheating happens because the tank can’t store enough air while you spray and the air pump must compensate for that. 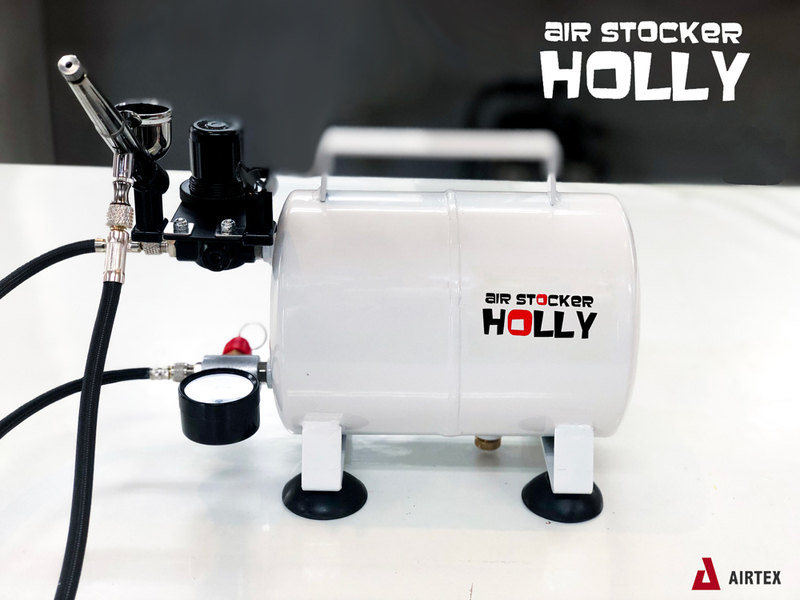 The Holly will add 2.5L of air to your Air Compressor, this will double the compressor life-time as you will reduce the running time and also avoid problems to the quality of the air that comes into your airbrush. Your air compressor will gain in stability and you won’t hear it going on and off in very short intervals. 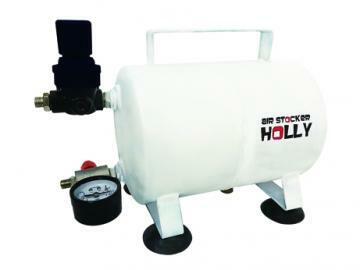 Holly comes with an air regulator gauge. You don’t need to upgrade to a more expensive and bigger compressor, just upgrade yours! 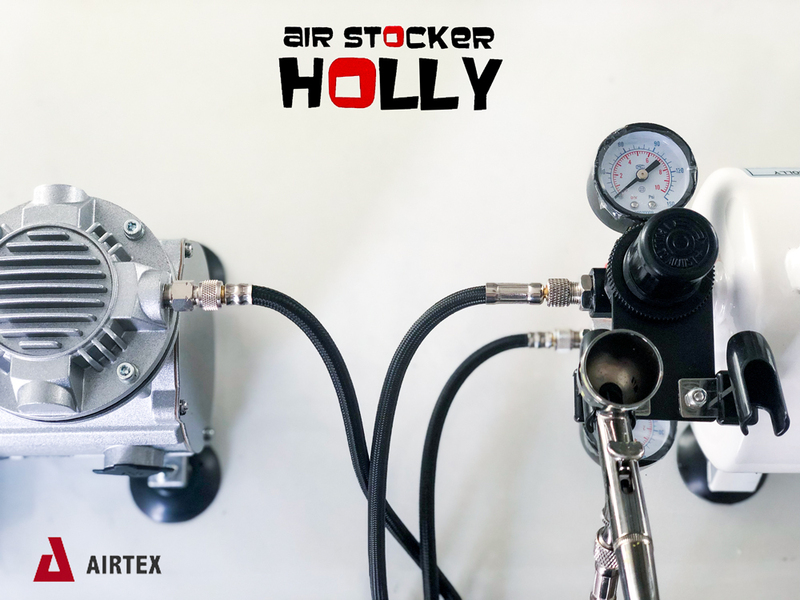 Connect your Air Compressor OUT (the Holly male Plugs are G1/8, same thread as most of the Airbrushes in the market) to the Holly IN plug (the lower one) and then connect your airbrush to the Holly OUT plug (the upper one with the regulator gauge). Now you are ready to spray!